In recent years, Internet of Things (IoT) has gained a lot of interest from both technology and business points of view. IoT is aimed at enabling the interconnection and integration of the physical world and the cyber space. It represents the trend of future networking, and leads the third wave of the IT industry revolution. The talk will discuss important components of Internet of Things, namely sensors, network and platform. Sensors could be deployed for various different applications. These sensors are inter-connected which facilitates data transfer from end node to IoT platform. Several examples and benefits will be highlighted followed an outline for successful implementation, deployment and adoption of IoT. HAFIZAL MOHAMAD received the B.Eng. with First Class Honours and Ph.D. in Electronic Engineering from University of Southampton, UK in 1998 and 2003, respectively. He was a faculty member at the Multimedia University, Malaysia from 1998. He served a short stint as a visiting fellow at National Institute of Information and Communication Technology (NICT), Yokosuka, Japan in 2005. 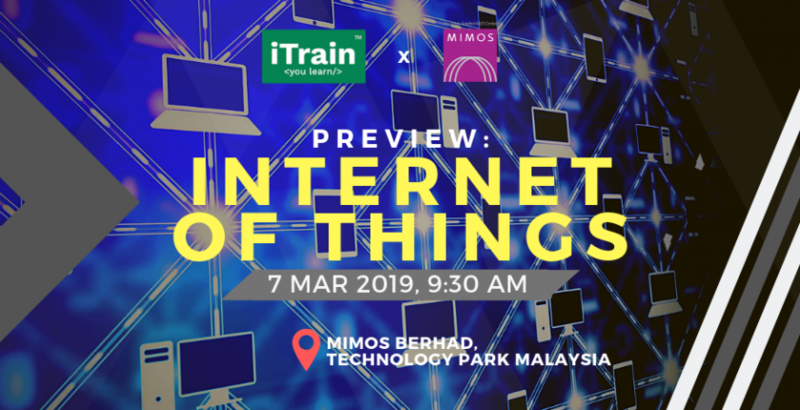 Since 2007, he is a Senior Staff Researcher at MIMOS Berhad, working on Internet of Things, sensors and cognitive radio network. He has published over 90 articles in high impact journal and conference proceedings. He has 7 patents granted and 41 patents filed. He is a Senior Member of the Institute of Electrical and Electronics Engineers (IEEE), USA. He is a registered Professional Engineer with Board of Engineers, Malaysia.